The recent explosion of TV viewing data now available in the marketplace is making everything knowable in TV advertising. Campaigns, brand marketers and advocacy groups can now ensure their paid media efforts are audience-based and guided by large data sets of actual media consumption. 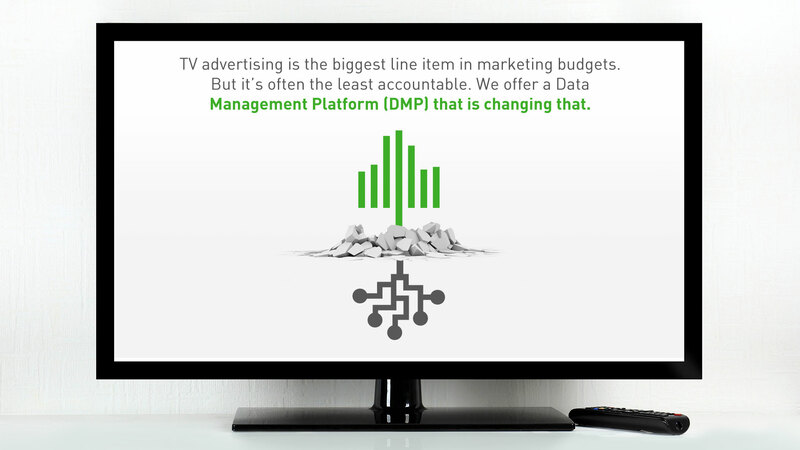 Our core offering is a Data Management Platform (DMP) to better target your TV advertising. The Deep Root Platform allows you to reach the right audience with the right message and generate a higher return on your advertising budget. We work with you and your media-buying partners to make your TV buying as targeted as your digital buying. In doing so, the Deep Root Platform brings the efficiency, effectiveness, and accountability of Big Data to Big Media. By the Numbers: in support of the HBO NOW product launch, Deep Root’s media analytics platform produced a 57% efficiency lift across 11 local markets, 3,400 extra targeted ratings points and eliminated 50% of traditional TV waste.